Sealed Air Jiffylite Self-Seal Mailer, Side Seam, #2, 8 1/2 x 12, White, 100/Carton - Cushioned mailers protect contents and reduce expenses with a lightweight design for postage savings. Fully laminated bubble cushioning provides stiffness and puncture-resistance. Seamless bottom affords additional cushioning protection along with greater overall strength and safety. 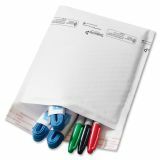 Fasten the mailer with a self-seal closure for added convenience. 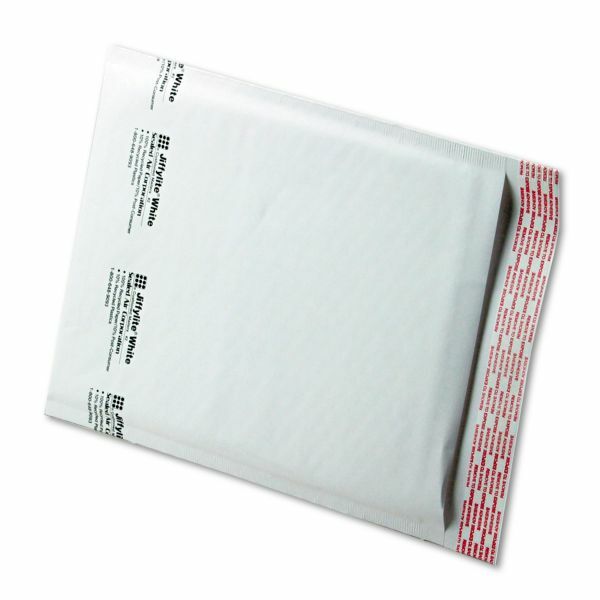 Strong, white, outer Kraft material is ideal for custom printing and made with a high percentage of recycled material.